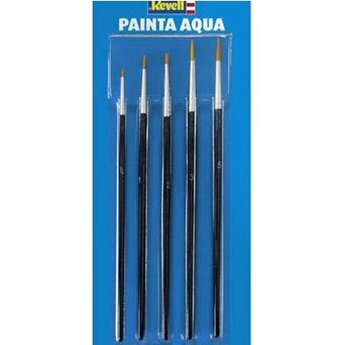 Set of 5 Revell Aqua Painta quality brushes. Specially developed for use with the Revell aqua paint series. The brushes in this set have the following sizes: 00, 1, 2, 3, 5.